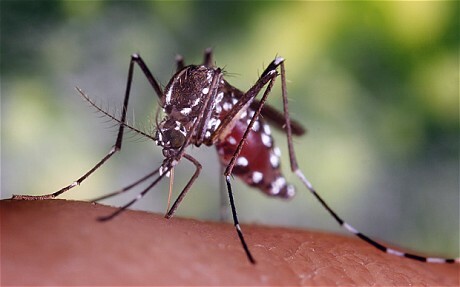 Development of the world’s first effective vaccine against malaria has reached a breakthrough stage after successful field trials. The BBC reported October 8th that British drug maker GlaxoSmithKline is seeking regulatory approval for the world’s first malaria vaccine after trial data showed that it had cut the number of cases in African children. The vaccine’s origins can be traced back to work done in the laboratories of New York University’s Langone Medical Center during the 1970s and 1980s by a remarkable couple of Brazilian scientists who discovered the precursor pathways upon which the GSK vaccine is built. Victor Nussenzweig had a phenomenal 50-year career at New York University’s Langone Medical Center, one of the world’s top medical research institutes. Professor Ruth Nussenzweig, the C.V. Starr Professor at New York University, has just as illustrious a name in the field of malaria studies as her husband. Both scientists left Brazil following the 1964 military coup and built their careers in the US. You can read a Science for Brazil profile of the Nussenzweigs and their latest work on malaria by clicking here. The vaccine known as RTS,S was found to have almost halved the number of malaria cases in young children in the trial and to have reduced by about 25% the number of malaria cases in infants. Malaria, a mosquito-borne parasitic disease, kills hundreds of thousands of people worldwide every year. The active component of RTS,S is the coat protein of sporozoites and is named circumsporozoite protein. It was discovered and characterized by Drs. Nussenzweig. The Nussenzweig’s pioneering work on the biology of the malaria sporozoites paved the way for the new vaccine against the deadly Plasmodium falciparum. The vaccine named RTS,S was then developed by GSK. Research using sporozoites attenuated by irradiation, influenced many people worldwide and continues to do so. RTS,S is but one of many different vaccines being tested for malaria in humans, most based the circumsporozoite surface protein inspired by the work developed at NYU. The series of breakthroughs that Nussenzweig and his wife achieved during the 1960s, 1970s and 1980s, in understanding the biology of Plasmodium, have now been taken forward by others to develop generations of commercial vaccines. You can see the BBC report on the latest developments in Africa by clicking here. RTS,S is now in final trials with thousands of African children. Up to now its efficacy has been between 35-50%. These breakthroughs have taken a new generation anti-malarials far beyond the still-prevalent prophylactics derived from the original treatment with quinine. Antibodies to the circumsporozaite protein only inhibit the infectivity sporozoites that are injected by mosquitoes. However, some sporozoites may escape and manage to enter hepatocytes. Prof. Victor and Ruth Nussenzweig’s research showed in addition that the liver stages of the parasite can be destroyed by cell-mediated immunity; they showed that T cells secreting interferon gamma prevent the development of the hepatic stages. Astonishingly, the Nussenzweig couple — now both in their 80s — aren’t finished yet. Having done the groundwork that led to the breakthrough against the deadly Plasmodium falciparum, the pair are now doing the equivalent of starting over in a new continent, with a fresh immunological challenge on an even greater scale. They are attacking the second great malarial strain, Plasmodium vivax. Since late 2010, Professors. Victor and Ruth Nussenzweig have been making visits to São Paulo, the undisputed center of Brazil’s growing scientific research establishment. There they are setting up a research laboratory at the Escola Paulista de Medicina (EPM), attached to the UNIFESP, the Federal University of the State of São Paulo. They have joined the group of Dr. Mauricio Rodrigues at the EPM who is determined to generate a vaccine against the less virulent but still debilitating Plasmodium vivax malaria that’s endemic to the Amazon basin and hotter regions of this continent.